The 10 Best Wineries in North Dakota! When one thinks of wineries they likely visualize the lush vineyards in places like Tuscany or Napa Valley. In truth, many high-quality wineries are located right here in North Dakota. Although the winter weather puts a damper on locally-produced spirits, every other season more than makes up for it. 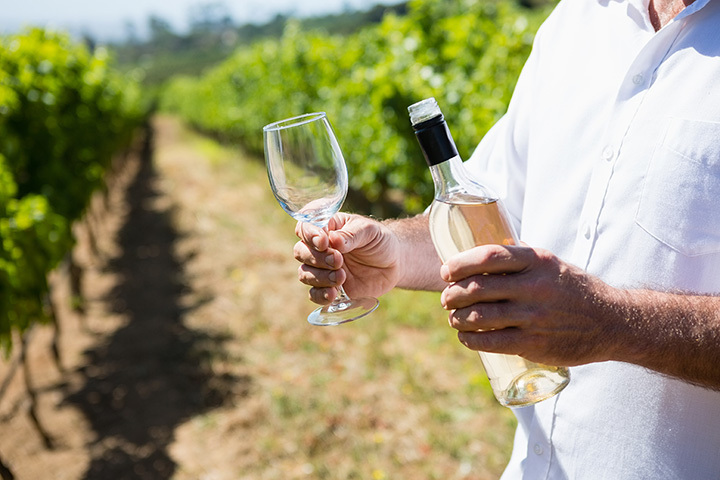 Whether you are interested in touring a local vineyard or want to give your own wine making abilities a go, check out these wineries. 4e offers a full selection of fruit wines ranging from dry to sweet. All wines are hand-crafted from locally grown grapes. “We pride ourselves on getting back to the basic elements of wine making to let the fruit be fully expressed,” their website states. Tastings and events are hosted at the winery’s historic century-old farmstead. The self-proclaimed home to the largest selection of locally made Pride of Dakota in the state, Maple Valley is home to 200 different items ranging from chokecherry, rhubarb, and honeycomb plum wines to chokecherry jelly and horseradish. Tours and tastings are available year-round. Home to the award-winning rhubarb wine, Pointe of View is also famous for its corn whiskey, gin, and rhubarb vodka. All the winery’s products are made in small limited releases at their tasting room. You can also look for the company’s products at local festivals. Dakota Sun Gardens produce a variety of wines using regionally-grown fruits. The property’s gardens features water structures, flowery and shrubbery displays, and metal structures. Tours of both the winery and gardens are available. Dickinson’s first winery, family-owned Fluffy Fields Vineyard produces a variety handcrafted wines produced from white and red grape vines, and locally fruits and vegetables. Daily wine tastings can be accompanied by food from a limited menu or a sample of the winery’s locally brewed beer. Not your average winery, Prairie Rose specializes in Mead, or honey wine. The nationally awarded honey wine is made by combining North Dakota honey and water to nutrients and yeast. The fermentation process then takes anywhere from 2-6 weeks. When it is finished, fruit and spices are added to create uniquely exquisite honey wines. Tours of the meadery are available by appointment. Located in a bay of the great Lake Sakakawea, Wolf Creek is known for its classic wine series that uses 100 percent locally-grown cold climate grapes. The winery also produces Creekside fruit wines made from fruits and berries grown within the state. Finally, for those that want to experience the superb tastes from around the globe, Wolf Creek Winery recently added a World Series wine made from fruit grown at the world’s finest vineyards. Thumbs Up Winery creates wines using locally-grown fruit that is subject to the natural process of cold stabilization. Although a smaller winery when compared to those around the state, the final product stacks up against the best of them. Thumbs Up specializes in cold climate red grape, wild chokecherry, and apple wines. Not your average winery, Uncorked offers nearly 40 wines that are all made on-site, including sweet, semi-sweet, or dry varieties. The real kicker, however, is that customers are welcome to make their own batch of their favorite flavors, complete with custom labels. Wines can be made from the fruits and juices offered within Uncorked or customers can bring their own to make a truly one-of-a-kind taste. The store also carries everything a novice or experienced wine maker would need to turn their home into their personal winery. View more North Dakota Wineries & Vineyards.